Our doctors and personal care professionals are devoted to the diagnosis, treatment, rehabilitation, and prevention of injuries and conditions that affect the body's bones, muscles, and joints. But we do things a little differently here: We believe in treating the body as a whole – not as a single joint or body part. At Advanced Orthopedics & Physical Therapy, our team of board-certified doctors is dedicated to caring for general orthopedic and sports medicine issues, treating work-related injuries and auto accident injuries, and providing orthopedic surgery and chiropractic care. 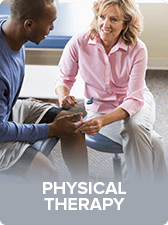 If you are looking to ease your pain, improve your mobility, maximize your physical function, and achieve lasting results, call Advanced Orthopedics & Physical Therapy today at (216) 378-9390 Warrensville Hts., (216) 261-7715 Euclid (216) 941-5656 West Cleveland or request an appointment online. 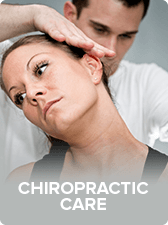 We proudly serve residents of Cleveland, Ohio and the surrounding areas with 3 convenient locations.